John Ward was the son of a master mariner and painter, Abraham Ward, and was apprenticed to Thomas Meggitt. In 1826 he was listed in the local Hull Directory as a 'house and ship painter', but by 1827 he was exhibiting paintings at the Hull and East Riding Institute for the Promotion of the Fine Arts. Ward's early work shows the strong influence of William Anderson. 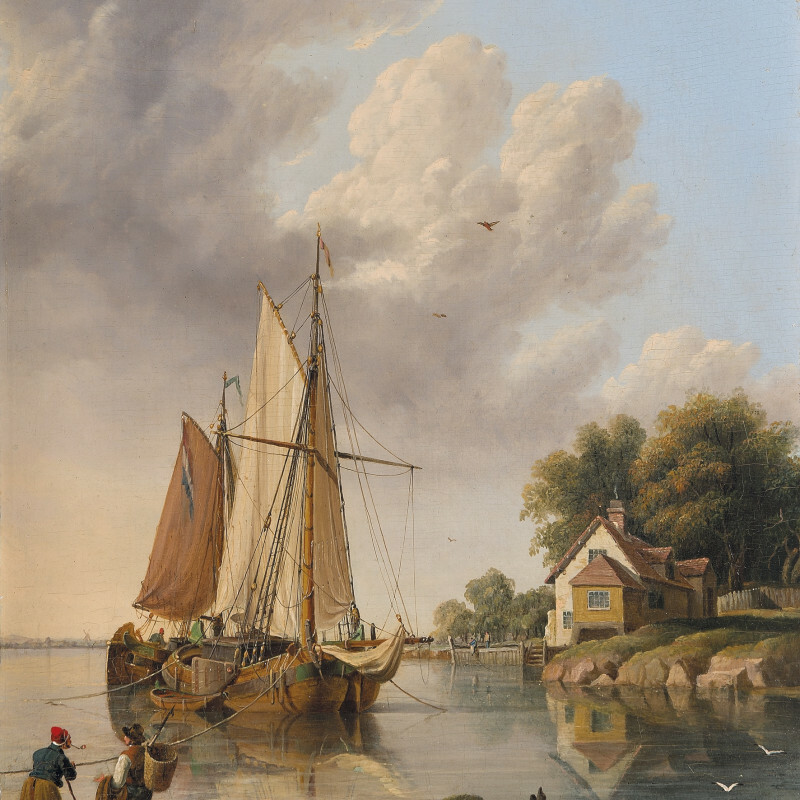 He copied some Anderson works while he was developing his own style, and then painted local marine subjects before expanding his subject matter. He exhibited at the Royal Academy between 1840 and 1840, and at the British Institution between 1843 and 1847. He made many engravings of his own paintings. Ward's work is now represented in a range of public collections, including the Hull Maritime Museum and the National Gallery of Art, Washington.